Tejashwi Yadav made the remark when he was quizzed by the media whether Tej Pratap would agree to a compromise with his wife Aishwarya Rai. RJD leader Tejashwi Yadav Saturday said his elder brother Tej Pratap Yadav's divorce plea was not a matter of public interest and his family was capable of handling the situation. Tej Pratap, an MLA and a former Bihar health minister, had said Friday he would not return home till his family backed his decision to divorce his wife. He was last seen in Mathura from where he left for Delhi on Friday to celebrate Tejashwi's birthday. Tejashwi Yadav, hit out at the reporters, and said, "The thing which is not in public interest, I will not tell. It is a family matter and the family members are capable of looking into whatever is going on." Tej Pratap had met his father at the medical institute a week ago. The RJD chief is learnt to have been upset over his elder son's decision to seek divorce. An apparently peeved Tejashwi Yadav told reporters: "You tell me, who has prepared meals at your house. You prepared it or your wife? Was it good (taste) or bad (taste)? Did you eat together or not?" On his visit to Ranchi, he said, "Every Saturday family members get the opportunity to meet my father. Yesterday was my birthday and obviously, I came to seek his blessings." "I also came to enquire about my father's health. His health is not well somewhat and we are concerned. 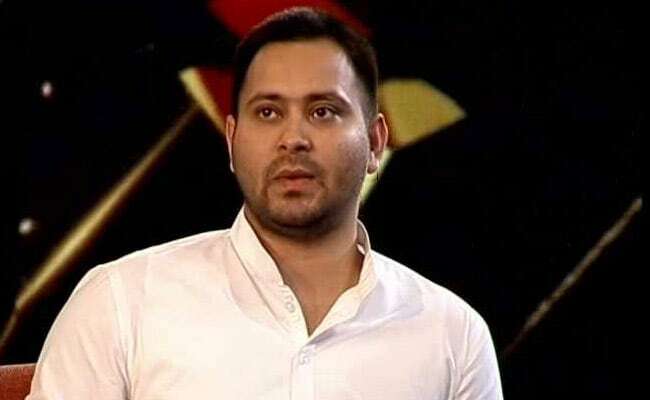 We pray that doctors attending him will help him recover at the earliest," Tejashwi Yadav said. He also said the media has been his family's well-wisher and asked reporters not to indulge in "A to Z (regular) update". "Earlier too, I had said that if you raise such issues nobody from the CM (chief minister) to PM (prime minister) will be spared... Therefore, let matters pertaining to home be at home." "Our (politicians) responsibility is that what is happening in the interest of the people should be raised. Issues related to the interests of the people should be raised," Tejashwi Yadav said. "I also say that I am more concerned with Bihar and the nation," he added. To a query on the Nitish Kumar government in Bihar, Yadav said the "people will answer at the appropriate time".